To be Israeli (Lihyot Israeli) is an enjoyable way to learn Hebrew. “I am Israeli (Ani Israeli) is written by Leah Brodersen, a new immigrant from the United States, is a celebration of Hebrew. A CD is included so you can hear the correct pronunciation. 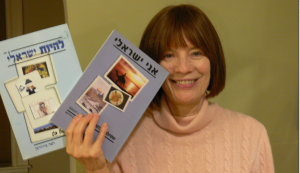 To be Israeli (Lihyot Israeli) and I am Israeli (Ani Israeli) are an exciting series of books designed to improve understanding of spoken Hebrew and experience authentic Israeli culture through stories about the daily experiences of a new immigrant. 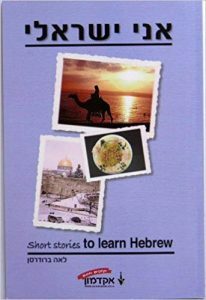 Written in easy Hebrew and using common expressions not usually found in dictionaries or phrase books, readers will laugh and cry at the many amusing situations of adjusting to life in Israel as a new immigrant. 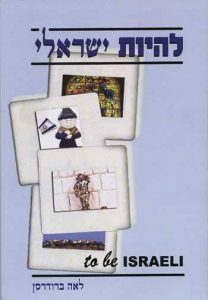 A must read for anyone considering Aliyah, or who is interested to learn Hebrew, stories like “The Bus Driver, the Doctor” and “A Snowy Day in Jerusalem” will warm everyone’s heart. 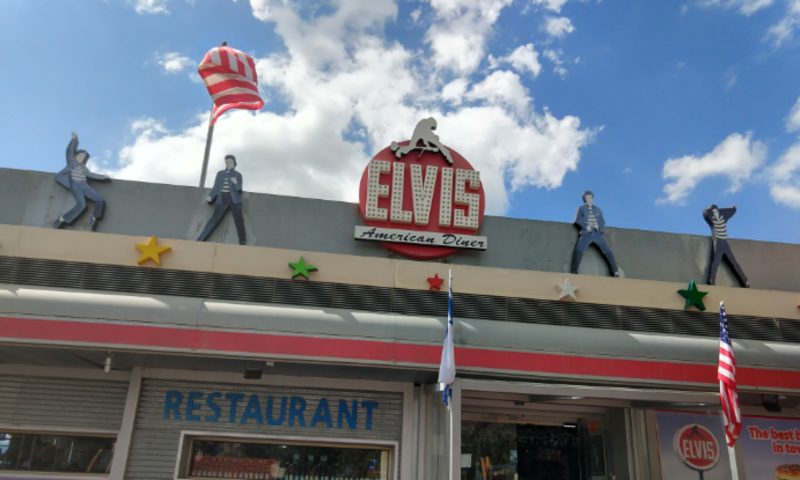 Enjoy Elvis Presley in Neve Illan ……. My life as a new immigrant could have been another episode of I love Lucy. Plucked from Portland Oregon and dropped into Jerusalem, I was fumbling and stumbling. I wasn’t prepared for the excruciating difficulty and complete humiliation of acquiring a second language. I naively arrived to Israel thinking: Why do I need to know Hebrew? I will scrape by with my English, I thought. Who would notice a tiny thing like my big illiteracy in Hebrew? Did I really need to speak it? “YOU don’t speak Hebrew?” blasted the Israeli taxi cab driver in Jerusalem. It was as though he threw a bucket of ice cold water over my head. My secret was out. I didn’t know an “Aleph” from a “Bet.” I even had difficulty pronouncing my Hebrew name not to mention writing it. My Hebrew was spoken in an abruptly disconnected style, each staccato syllable I uttered had the potential of scratching and irritating the listener’s ear. My jarring Hebrew was causing the local unnecessary stress. I enrolled in Ulpan, Hebrew school. My husband kept his job in Nevada and traveled back and forth every two to three weeks. My two children, 11 and 13, were busy with school. So I poured myself into learning Hebrew. Once in ulpan our teacher told us to write a story using the new words we learned. I realized that I learned Hebrew by writing. So I started to write stories about my adventures in Israel. I asked my teacher to correct them. The friendly and outgoing inspector took a seat in the back of the class. Then a miracle happened. The confident teacher called on one student at a time to read. Surprisingly, the students sounded pretty good. I was able to see from the expression on the inspector’s face she was pleased. The students’ voices sounded like a symphony. Each student symbolically played a different musical instrument. A Russian student read. His deep voice sounded like a base. The French student’s light voice reminded me of a flute. Next, a Spanish student read and her voice sounded like a violin. The teacher pointed to me. Her finger turned into a conductor’s baton. Nervously I read. I sounded like a clarinet. After the inspector left, the teacher was grinning from cheek to cheek. “The inspector was happy,” she proudly proclaimed. If you want to read this story in very easy Hebrew, you can find it in To Be Israeli ( Lihyot Israeli.) Don’t worry about the difficulty. I have included lots of English vocabulary at the end of the story. Learning Hebrew is life long. There will be ups and downs. But when you reach a small milestone. Celebrate. To be Israeli and Ani Israeli help you to do just that. That’s why these books are a Celebration of the Hebrew Language.